The recent County Court decision in Shamim Amir-Sidddique v Kowaliw and Gigonkowaliw ( 2018 ) has offered some well overdue judicial guidance on the steps to take when appealing the quantum of fees awarded to a party wall surveyor. The facts are pretty straight forward. The Building owner decided to convert the loft in her property to provide further habitable space, work which also involved the removal of the chimney breast in the first floor front room. This was clearly work that engaged the Party wall Act, though the building owner was hoping the Adjoining owner would return the courtesy she had previously afforded when similar works were undertaken by the Adjoining Owner without Party Wall engagement. This did not happen, and the Building Owner was forced to serve a party wall notice. There then followed some acrimonious exchanges over the appointment of the Adjoining Owner's surveyor, mainly as a result of the Building Owners wish for the Adjoining Owner’s surveyor to act as a jointly appointed surveyor. The Adjoining Owner refused, and the Building Owner was forced to appoint a surveyor of her own. An award was then issued, and the works were completed. The award provided for the Building Owner to pay the fees of £1500 and her own surveyors fees of £595 and £180 ( the latter relating to the surveyor she had first appointed). The matter came before HH Judge Bailey, a Judge with a wealth of experience in party wall disputes. He acknowledged that although there were judges like himself who could drawing on experience, express a view on the reasonableness or otherwise of fees, it was necessary for a party who sought to challenge feed, to come to the court armed with expert evidence, and to also, before the hearing, provide the adjoining owners surveyor with the opportunity to be joined as party, and to be heard on the issue. ‘Given the sum at stake, and the cost of mounting an evidence-based challenge to the fees the Appellant’s approach is understandable, but it puts the court in an impossible position. The jurisdiction of the court under s 10(17) of the 1996 Act is plainly wide enough to vary that part of an Award which covers the fees of the party wall surveyor. But the court has to act on evidence and give reasons for any decision. There is an additional complication where a party wall surveyor’s fees are challenged by an appellant. The respondent to the appeal will often have no particular interest in the outcome of the challenge to the surveyor’s fees. Accordingly the party wall surveyor whose fees are being challenged may find that his interests are not being properly protected. Where a party wall award appeal includes a challenge to a surveyor’s fees it is important that this is flagged up in the interim stages of the appeal. The surveyor concerned should then be given an opportunity to apply to be joined to the appeal as a second respondent so that he may take part in the appeal, be required to give disclosure where appropriate, and be permitted to adduce any evidence he wishes in support of his fees’. Analysis of the relevance and reasonableness of time spent on each item of work undertaken by the surveyor ( in effect to determine the reasonableness under s10 (13) ( see below) ). This the Judge stated would involve the building owner obtaining a third party disclosure order against the adjoining owner surveyor to obtain his time sheets, documents, workings and other relevant papers. HH Judge Bailey acknowledged that there could be circumstances where the adjoining owner would be required to pay part of the fees of his own surveyor. The Court commented that there are no principles upon which the surveyor or surveyors should act when making awards of costs when exercising their powers under s10(12) and (13) of the 1996 Act. Looking at liability the Court noted the Act provides, in s 11(1), that except where there is specific provision to the contrary “expenses of work under this Act shall be defrayed by the building owner”. 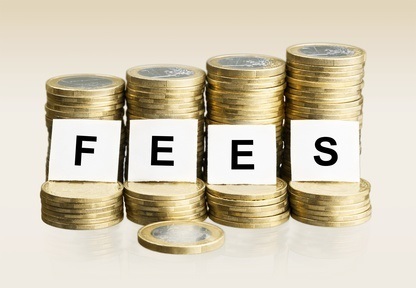 ‘First the fees in question must be reasonable, see s 10(13). The building owner need not pay the adjoining owner’s surveyor’s fees where they are unreasonable in amount because, for example, the surveyor has sought to charge too high a hourly rate, or has charged for unnecessary work, or has taken an unreasonable amount of time to do the work that he has done. In the case the Building Owner argued 1) the Adjoining Owner’s refusal to reciprocate the courtesy she had previously afforded, and 2) the seeking of conditions on work that fell outside of the scope of the Act, and 3) the opposition to the Adjoining Owner surveyor acting as a jointly instructed surveyor, all amounted to conduct that would justify visiting all of the fees incurred on the Adjoining Owner. The Judge was not persuaded on 1 and 2, but did consider it was unreasonable for the Adjoining Owner to refuse to allow the surveyor to act for both, and therefore directed the the Adjoining Owner pay the Building Owner’s surveyor's ( second ) fees. If you are looking to challenge either on appeal, or on making submission to a third surveyor, the hourly rate charged by a surveyor make sure you adduce expert evidence, perhaps from a few different surveyors. In this case the Adjoining Owner actually reduced his hourly rate from £250 to £210 when it came to calculating his fee for the making of the award. This compares pretty favourably to the hourly rate of some surveyors, that can be as high as £350 per hour. This will involve a close and forensic look at the work undertaken by the surveyor after the surveyor has produced his working papers, either voluntarily, or by order. The expert would be able to comment on the necessity of each element of work and having regard to the hourly rate charged assess whether the time taken to undertake the work was reasonable or otherwise. This would in part be covered by the approach referred to above, and an expert would no doubt be expected to comment on whether as a result of the conduct of the appointing owner when compared to the standards expected ‘throughout society’, any work had taken place and/or taken longer to undertake. Though not mentioned in the judgment it is clear that when looking at reasonableness the question of proportionality is also an important factor to take into account. If there is to be a challenge of the surveyors fees there is a need to ensure that before the hearing of the appeal, probably on directions, that the surveyor is given the opportunity to be joined as a party so that he/she can be heard. The question of seeking discovery of the surveyors papers should also be considered at this stage. In this case having regard to the nature of the works and complexity of the dialogue between the parties the fees did not seem particularly high, and the writer is surprised an appeal was launched. The Building Owner seems fortunate to have succeeded, albeit on one of the three grounds, and it would be interesting to see how the costs of the appeal were apportioned. No where in the Party Wall Act 1996 ( ‘Act’) is a ‘dispute’ defined. The Collins Dictionary defines a ‘dispute’ as ‘an argument or disagreement between people’. If on serving a party wall notice the adjoining owner assents to the proposed notifiable works, there is not of course a dispute, whereas if there is no response within 14 days of service a dispute is ‘deemed’ to exist. A disagreement will also arise of course, if the adjoining owner expressly objects to the proposed works. The existence of a ‘dispute’ is important for two reasons. Firstly, without one there is no jurisdiction for a surveyor to be appointed, and secondly a deemed or existing dispute is a prerequisite for the making of a party wall award. Even where the adjoining owner has assented at the outset, the Act can still be engaged if during or following the completion of works a ‘dispute’ arises. The relevant provision is S10 (10) of the Act and provides the surveyors' tribunal is competent to make awards on matters which are in dispute between the parties and which are also connected with work to which the Act relates. Their appointment is fundamental to achieving the purposes of the legislation and is widely credited with avoiding disputes between neighbouring owners that might otherwise result in litigation. The surveyors’ authority and power to make awards is not derived from their contractual appointment, but from the the provisions of the Act. Failure therefore to follow the requirements of the Act can render an award invalid. What happens when a dispute or deemed dispute arises following service of the Notice? The usual course when a dispute arises, or is deemed to have arisen, following service of the Notice, is for surveyors to be appointed, and for there to be an award, or party wall agreement put in place to regulate the works before they commence. Usually, this will also provide a mechanism for the resolution of further disputes should they arise. The position becomes a little less clear when the adjoining owner having assented at the outset subsequently decides to look to challenge the continuation of the works. On the face of it this triggers a dispute and the opportunity to engage the s10 (10) dispute resolution process emerges. However, it does not necessarily follow that just because the adjoining owner has decided for whatever reason to raise a concern a party wall dispute arises. There may be a number of reasons for the development. For example, the adjoining owner may have suffered some damage to their property during the course of the notifiable works, and becomes nervous about the prospect of the building owner making the work good, or offering compensation. The adjoining owner may, by way of a further example, have become fed up with the building owner’s builder taking advantage of previously agreed access rights. On the face of it these examples suggest a disagreement, and per se would justify the establishment of the s10(10) process. However, in both cases the situations could have easily arisen through nothing other than a misunderstanding, and or, without the building owner’s prior knowledge, especially if a contractor is involved. Furthermore, for there to be a disagreement there needs to be a difference in views, and if on enquiry the building owner accepts the view of the adjoining owner can it really be said that a dispute exists. Clearly if one party accepts the position of the other there is no need or justification for the party wall dispute resolution provisions to be invoked. It is the uncertainty surrounding the adjoining owners change of heart that often exposes a building owner to the risk of financial exploitation by the ‘cowboy’ party surveyor who often circles looking for opportunities of this type. More often or not a building owner is forced due to pure ignorance of the workings of the Act to accept the appointment of the adjoining owner’s surveyor, even though there is no actual dispute present. It is only once the surveyor has bedded him or herself in that a dispute is then created to justify the appointment, and the massive fee accumulation that will inevitably follow. Its not too long before the building owner finds him or herself caught up in a protracted, very expensive and, more to the point, totally unnecessary process, and one from which there is no escape. 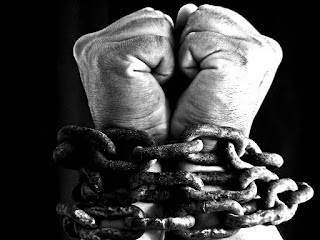 So what can be done if this imprisonment occurs? For there to be an award there needs to be an existing dispute. This is clear from the present tense of the language used in s10 (10). ‘The argument that the 1996 Act requires the surveyors to proceed to an award even where the parties have reached agreement would be wholly against the general principle that parties who are sui juris are free to make such agreements as they wish to make, provided that they are not illegal in nature. It is also against the clear policy of the CPR for the court either to restrain two parties from reaching an agreement on any subject matter which has been referred to party wall surveyors under the 1996 Act, or to hold unlawful and therefore unenforceable any agreement they do happen to make, simply on the basis that a reference has been made to the surveyors. Very clear statutory words would be required before the court would act in this way, and there are no such words in the 1996 Act’. If therefore the building owner agrees with the views/demands of the adjoining owner no dispute can be said to exist, and the need for an award ceases. In so far as the fees of the adjoining owners surveyor is concerned, even though there would be a strong argument to justify refusal to accept liability ( on the basis there was no dispute available in the first place to justify the s10 (10) appointment), this could ironically be viewed as a dispute, and result in the making of an award. The best advise would be to offer and pay a small, but reasonable fee, and to then leave the adjoining owner to decide whether or not to run the cost risk of a third surveyor referral. If notifiable works are to be undertaken always serve a valid party wall notice. If the neighbour objects, or does not respond, look to find out why, and wherever possible establish a party wall agreement to regulate the proposed work, and to provide a mechanism for resolution to cover the possibility of a dispute arising in the future. This will due to the decision in Mohamed ( above) reduce the risk of exposure to the cowboy surveyor, and also the probability of facing a huge fee liability. This advice should equally be followed even if your neighbour consents to the works. 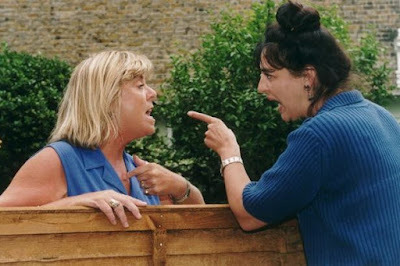 It is not uncommon for long standing neighbours to fall out, often for reasons unconnected with the build, such as pure jealously. By having in place an agreement to provide for the resolution of any dispute that might arise later will make it very difficult for s10(10) to be invoked. If there is no agreement in place, and a prima facie dispute follows assent, then find out what has gone wrong, and fix it quickly. Don’t let a dispute develop, and make sure that if the adjoining owner surveyor decides to unilaterally appoint him or herself, that you make it clear there is no disagreement. Follow this up with a written agreement, and ensure this has provision built into it to resolve any future disagreement that may arise. This may mean swallowing your pride, and making concessions beyond normal expectation, however do bear in mind that entering the party wall arena can often be akin to handing the adjoining owner’s surveyor a winning lottery ticket.